Designed to achieve maximum driving enjoyment, the Ventus V12 Evo² (K120) is an ultra-high performance tyre optimal for summer conditions. This tyre is a popular choice thanks to its stylish aesthetic. The Ventus V12 Evo² (K120) achieves high levels of traction in wet and dry conditions thanks to its innovative high grip silica compound and a high density carcass provides enhanced durability thanks to its increased sidewall stiffness. 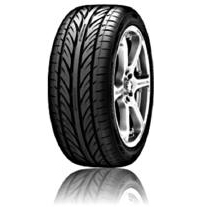 This tyre is constructed with Hankook's pitch technology to achieve a quiet and comfortable drive.